This hostel is a large home with two common rooms, fireplace, large front porch, dining room, fully equipped kitchen, laundry facilities, clean showers, dorms for men and women, and bike storage. 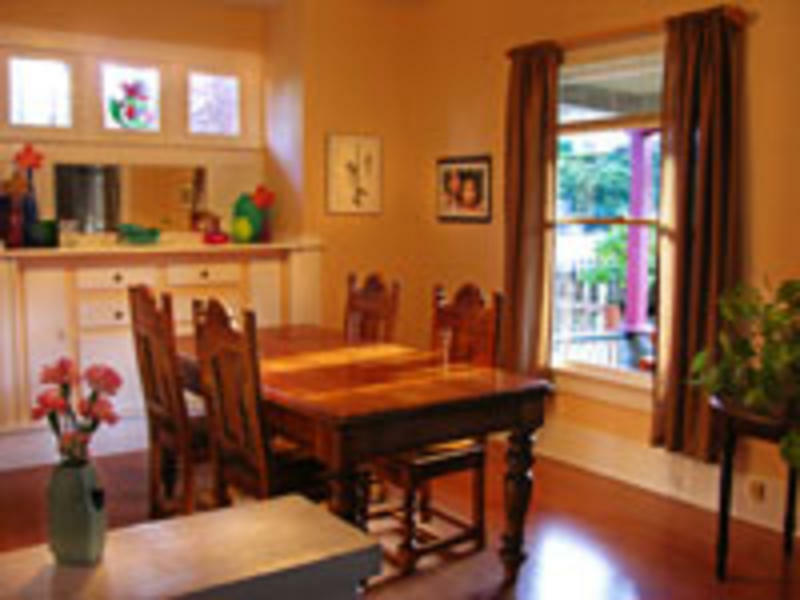 The hostel has ten rooms that accommodate a maximum of 45 travelers. 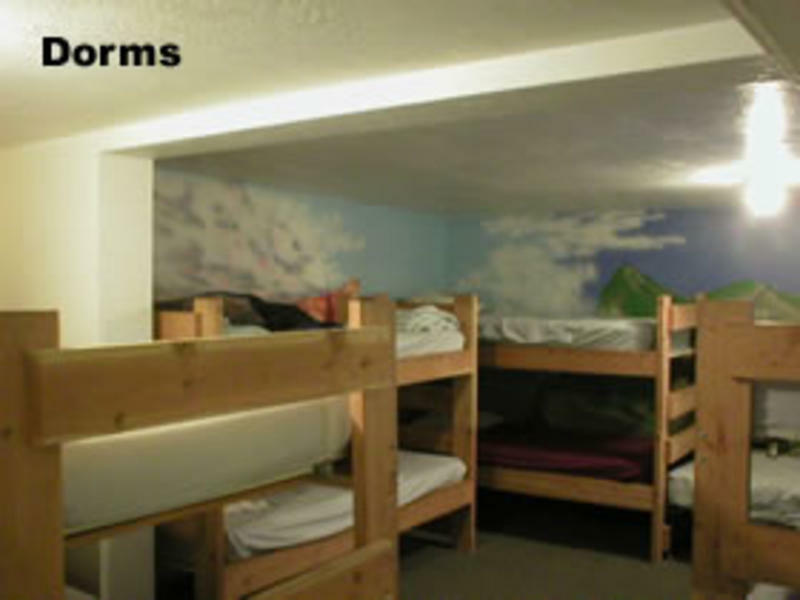 Each dorm room has 4-8 bunk beds. Turn right off the first Ashland exit 19 from Interstate-5. Turn left at the traffic light at Highway 99 and follow the signs towards the Oregon Shakespeare Festival. After about one mile, you'll enter Ashland, where Highway 99 will become North Main Street. One block after the second traffic signal (at Laurel Street) the Hostel will be on the left at 150 North Main Street. Turn left on Bush Street to park behind the house. If all three parking spaces are filled, continue out the alley and park on Helman Street. Take the second Ashland exit 14 off Interstate-5. At the end of the off ramp, turn left onto Ashland St. After a mile or so Ashland Street will merge right with Siskiyou Blvd. at the university. Continue with the flow of traffic about two miles. In the downtown area Siskiyou Blvd. becomes Lithia Way, which is the northbound one-way street as you drive through the downtown area. This, in turn, will become a two-way street after about six blocks. Stay in the right lane because the Hostel is now just a half block on the right. Turn right on Bush Street to park behind the house. If the three parking spaces are filled, continue out of the alley and park on Helman Street. The RVTD bus Route 10 leaves the Front Street Station (9th & Front St, Medford) at :26 & :56 past the hour. Take the# 10 bus for 9 minutes to the Ashland Plaza. From there retrace the bus route back one block. The hostel is on the right at 150 N. Main. Buses run between 5:26am and 6:56pm, Monday-Friday. The bus fare is $2, or $1 for students and seniors. Be aware there is no weekend service. Taxi service is available from Ashland Taxi Cab (541) 890-8080 or Yellow Cab (541) 482-3065. The closest Amtrak station is located in Klamath Falls, approximately 80 miles away. A shuttle meets the Coast Starlight from California at 10:20 a.m.each day arriving in Ashland at 1:00 p.m. If you are traveling from the north you must take the connection bus from Portland to the Ashland shuttle. Both shuttles arrive at Safeway market approximately 1 mile from the Ashland Hostel. 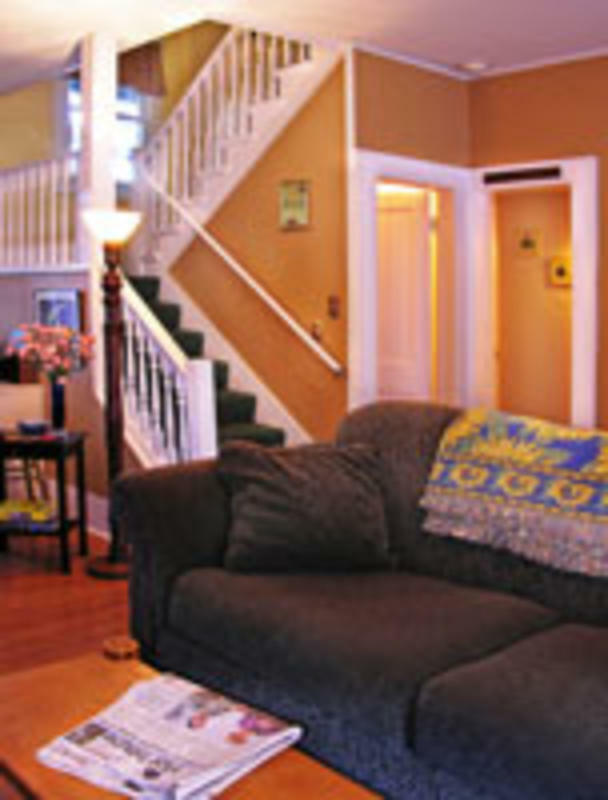 Walk north through the downtown area for approximately 10 blocks. The Hostel is in the large green house on the right at 150 North Main Street after the plaza and the downtown shops. Check AmTrak.com for more information. The Medford International Airport is located 15 miles north of Ashland and is serviced by United Air Lines, and Alaska Airlines/Horizon Air. The Cascade Airport Shuttle (541-488-1998) provides car service from the airport to Ashland..
We have an outstanding location in Ashland-- three blocks from the Oregon Shakespeare Festival and the well-known Lithia Park. Numerous fine restaurants, the Ashland Food Coop, movie theater, bus stop and many local shops are also very close and within walking distance. Local buses travel to Medford regularly during the day, Monday through Friday. Mountains, the Pacific Crest Trail and several lakes, including Crater lake, are within easy driving or bicycling distance. Of particular interest to the many 'through' hikers coming off the Pacific Crest Trail, a 2,650-mile national scenic trail that runs from Mexico to Canada through California, Oregon and Washington, the hostel is within four blocks of three key Ashland locations--the post office, hardware store and food coop. The Ashland Hostel was built 100 years ago. It's listed on the National Registry of Historic Places. 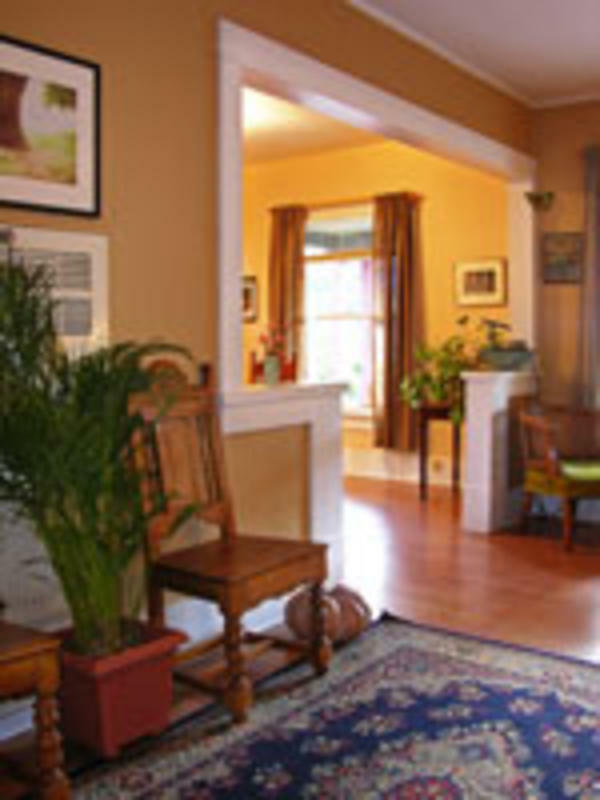 With an architectural style of an American Bungalow, the hostel occupies three floors at the corner of Bush Street, just two blocks north of the Ashland Plaza. The management team of General Manager Marilyn Northcross and Resident Manager Stuart Gray have developed the hostel into a delightful home-like haven for price-conscious travelers of all ages.